Interested in learning more about New England Wheels? Contact us today. 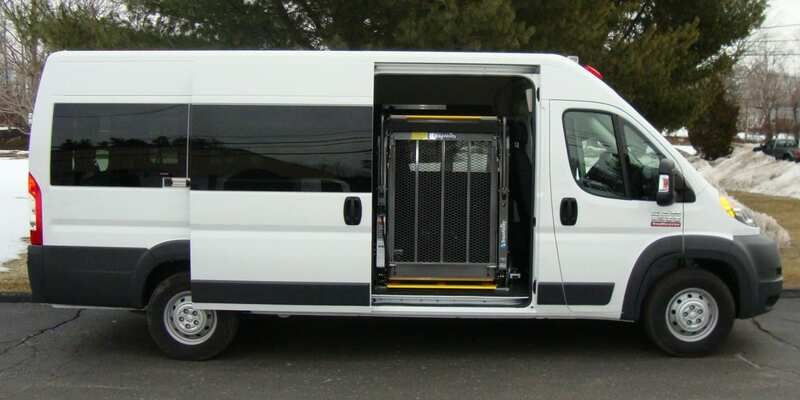 Ram ProMaster: Seating up to 17 and featuring best-in-class gas mileage, lowest step in height and largest overall width, the Ram ProMaster sets the standard for versatile, value oriented true center aisle transportation solutions. 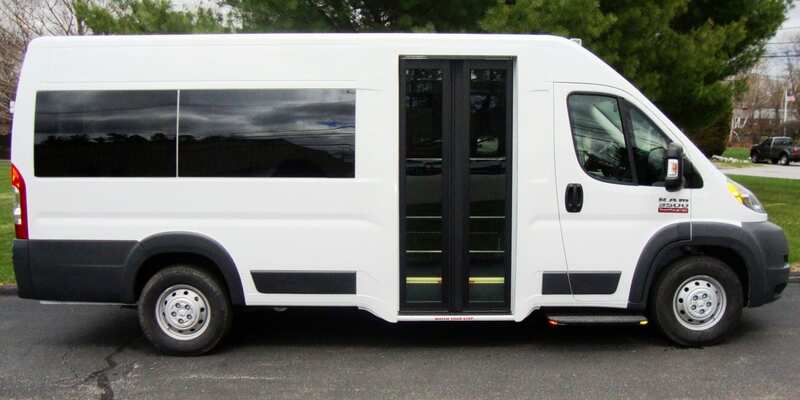 Ford Transit: With three roof heights and three body lengths and up to 10,360 pounds of GVWR, the new Ford Transit has a flexible, value oriented solution to meet your transportation needs. 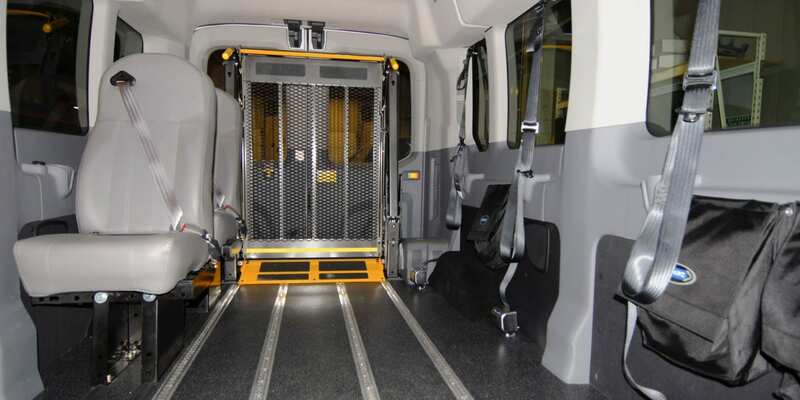 Ford Transit: Offering flexible side/rear wheelchair configurations, three body lengths and two roof heights. 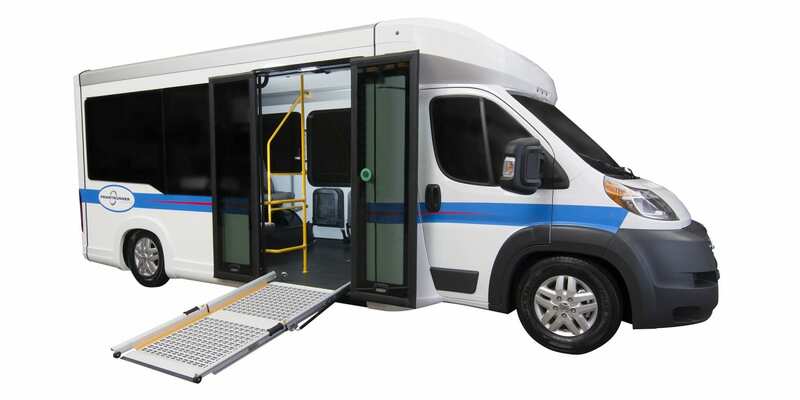 Ram Promaster: Featuring up to 4 wheelchair positions, best-in-class gas mileage and lowest step-in height. 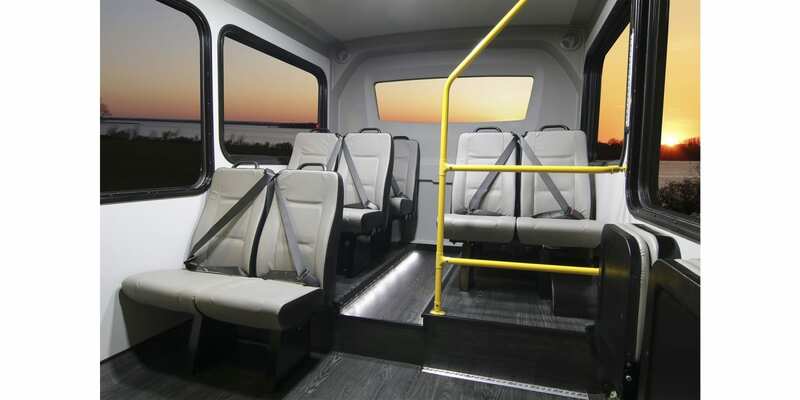 FrontRunner’s sleek, fuel efficient design and innovative lowered floor system combine the driving performance of a compact van with the flexibility and convenience of a large city bus. 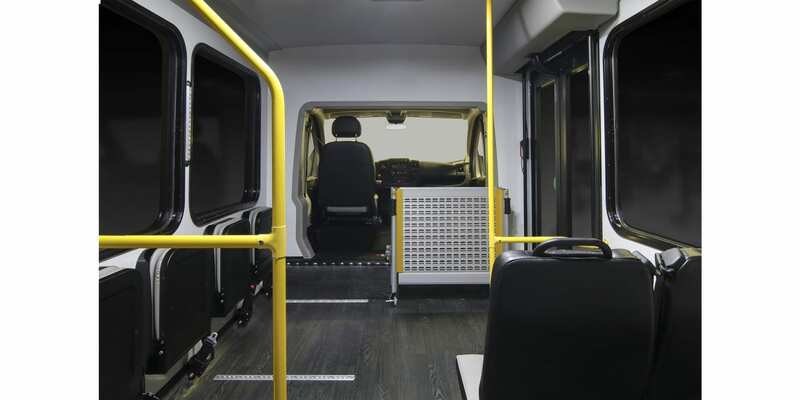 With its cutting edge styling, next generation composite engineering, and versatile front wheel drive transmission, FrontRunner ushers in a new era in commercial transportation. 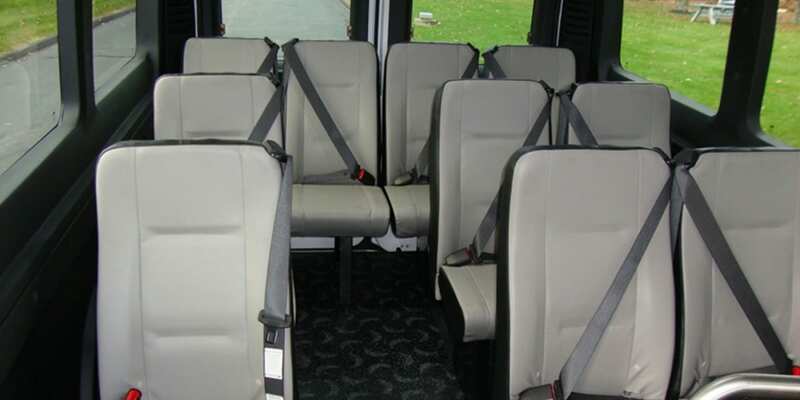 Since New England Wheels’ founding over three decades ago, they have provided world class transportation and mobility equipped vehicles that represent the best quality and value on the road. A commitment to customer satisfaction drives innovation throughout their state of the art design and manufacturing center in Billerica, MA. 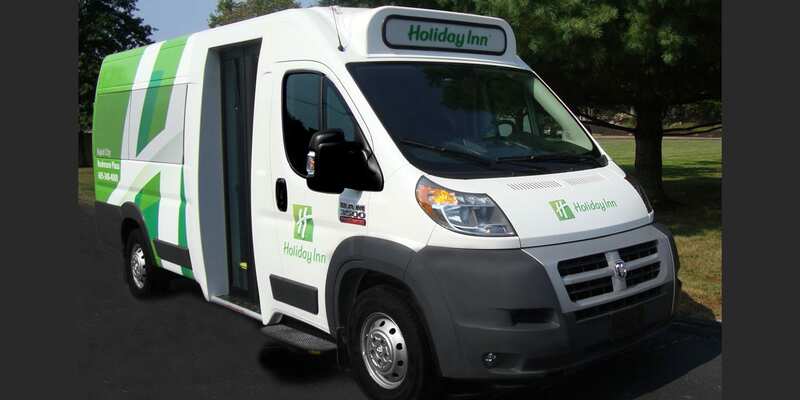 New England Wheels continue to challenge the status quo to exceed customer’s expectations and satisfy their unique transportation needs. Their design platforms and innovative features, styles and options remain unrivaled in the industry. 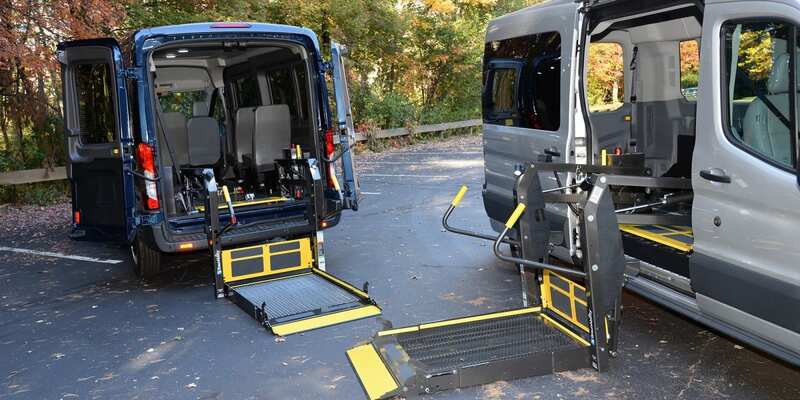 Most importantly, New England Wheels build safe, dependable, durable vehicles backed by an industry leading warranty that consistently outlasts comparable models in the market. 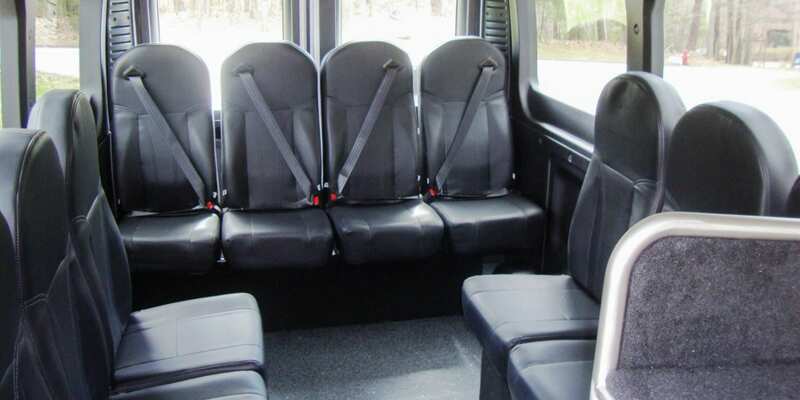 When you purchase a custom New England Wheels vehicle, you receive the highest quality and the best value in the industry. 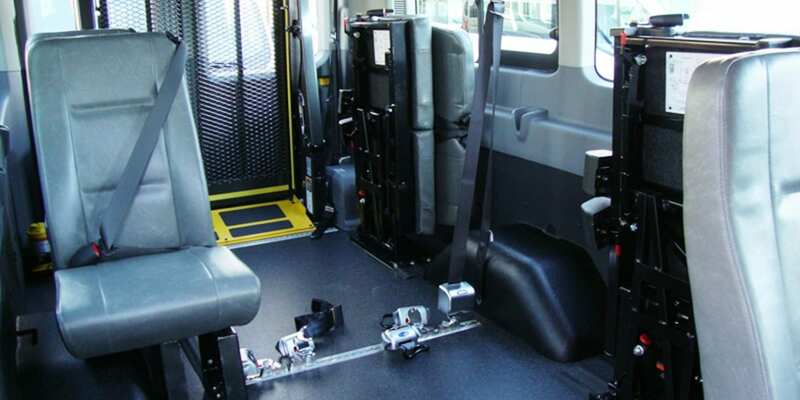 New England Wheels vehicles meet or exceed all Federal Motor Vehicle Safety Standards (FMVSS) including 206 (certified door latch) 210 (in vehicle certified seat belt anchorage), 220 (certified roll over test- OEM certification), 403/404 (wheelchair lift installation). They are proud member of Ford’s Qualified Vehicle Modifier (QVM) program, a designation earned through a rigorous annual examination of quality, standards, documentation and operational expertise. This designation is reserved for only those modifiers who exemplify the highest standards in structural modification. 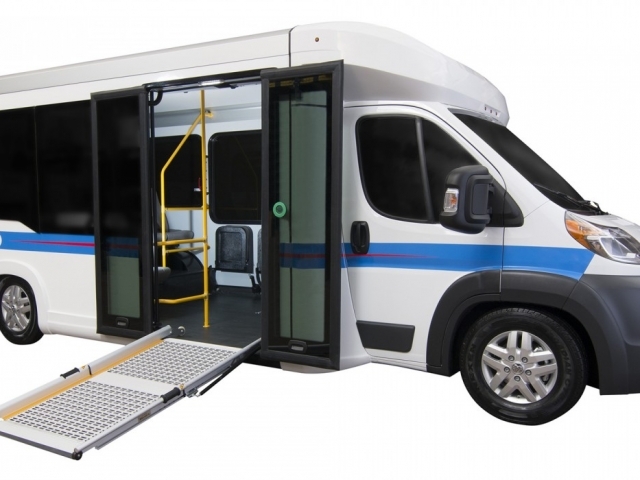 They also are a member of the National Mobility Equipment Dealers Association (NMEDA).